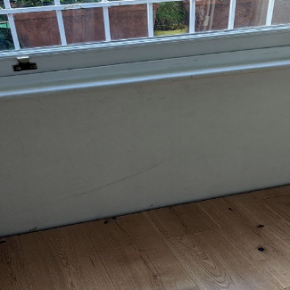 New CRUK member, The John Lewis Partnership’s Group Manager for Waste and Water Resource, Mike Walters, gave an update on the national roll-out of the department store’s carpet off cuts recycling scheme with Anglo Recycling. 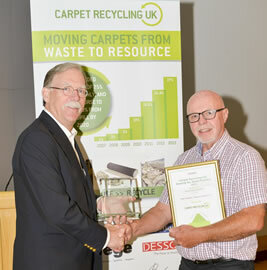 Tony Winder of Winder Carpets Ltd collected the award for ‘Recycling Champion’ from Executive Director of the US-based Carpet America Recovery Effort, Bob Peoples. The A. Proctor Group’s Spacetherm Aerogel Blanket has been used in an impressive £14m development of Bristol Waterfront apartments. 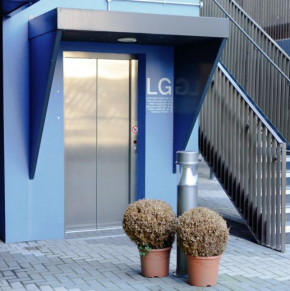 A Stannah passenger lift was recently chosen to improve accessibility for residents of Victoria Wharf Apartments, a £5.5m canal-side housing development. 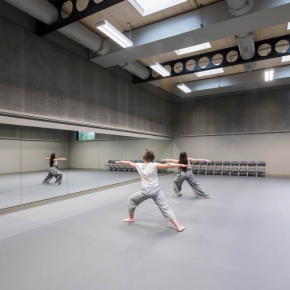 Troldtekt 100% wood wool acoustic panels have been used to dramatic effect at London’s famous Open Air Theatre in Regents Park.